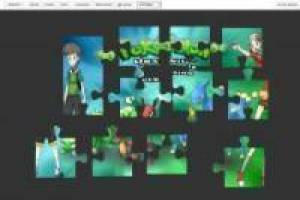 Uranium Pokémon reaches our web shaped puzzle for you to meet the protagonists and initial Pokémon. This new Pokemon game has emerged from the hand of a few fans of these games create your own with new creatures. It all starts in the region of Tandor, in which you have to beat eight gym leaders to get all the medals and go to the championship Tandor Pokémon. New Pokémon are waiting for you in this new game you can already get under download on the Internet. This puzzle has several levels of difficulty depending on the number of parts that compose it, from 12 pieces on the simplest level to the 108 level of difficulty. 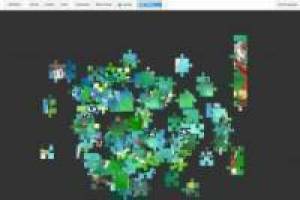 Get started piecing together and tell us how long you had to use to solve it!. 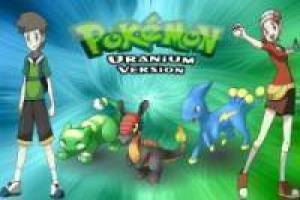 Enjoy the game Pokemon Uranium, it's free, it's one of our pokémon games we've selected.